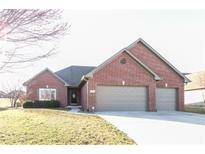 Below you can view all the homes for sale in the Kensington Grove subdivision located in Greenwood Indiana. Listings in Kensington Grove are updated daily from data we receive from the Indianapolis multiple listing service. To learn more about any of these homes or to receive custom notifications when a new property is listed for sale in Kensington Grove, give us a call at 317-493-0959. Even potential for 5th bedroom in basement- den. DONT MISS this one! MLS#21633619. Keller Williams Indy Metro S.
The patio has a pergola and plenty of space to entertain. MLS#21623331. 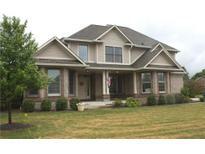 Keller Williams Indpls Metro N.
You must tour this beautiful home to see all of the features. MLS#21628565. Carpenter, REALTORS®. This home is an amazing combo of elegance & livability, in one of Center Grove's premier neighborhoods! MLS#21617592. BRG Realty Partners. Professionally installed landscape and hardscape. Walkable to CGHS! MLS#21614012. Plat Collective. Exercise Room TV, Bar TV and Hot Tub and Garage Heater included! MLS#21613019. Smythe & Co, Inc. This is the upgrade that you've been looking for! MLS#21608923. Greenwood Homes Realty, LLC.